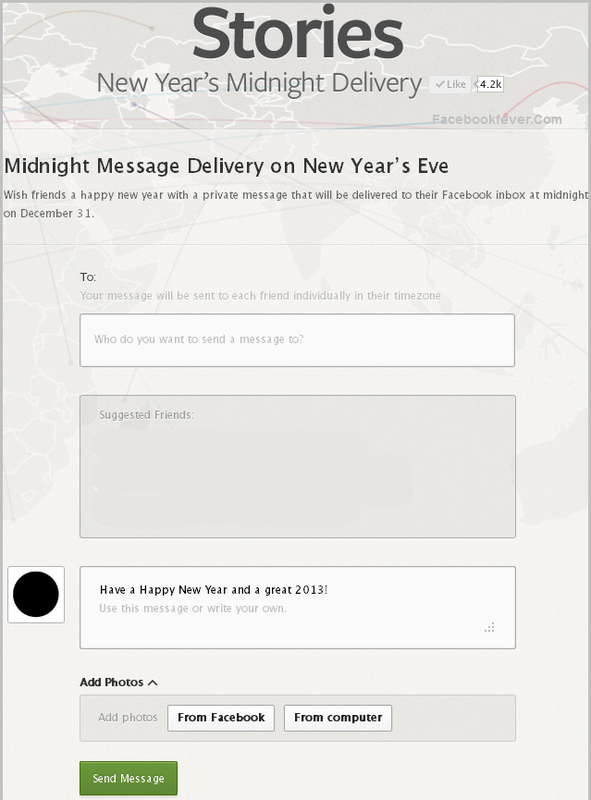 Do you want to send New Year’s greeting to your loved ones directly on Facebook and most importantly on the exact time i.e. the time when Dec 31 turns January 1st? Now, it’s possible without your physical presence on the site. Thanks to Facebook’s newly launched Midnight Message Delivery Feature through Facebook stories. At the midnight, when December 31 becomes January 1st of 2013, Facebook will send all your messages to your loved ones. So,what are you waiting for, just schedule your new year’s greetings to your friends and be the first to wish them new year’s greetings.